I’ve been to the Hunter Valley many times and on each trip I’ve made best efforts to experience new wineries and cellar doors. 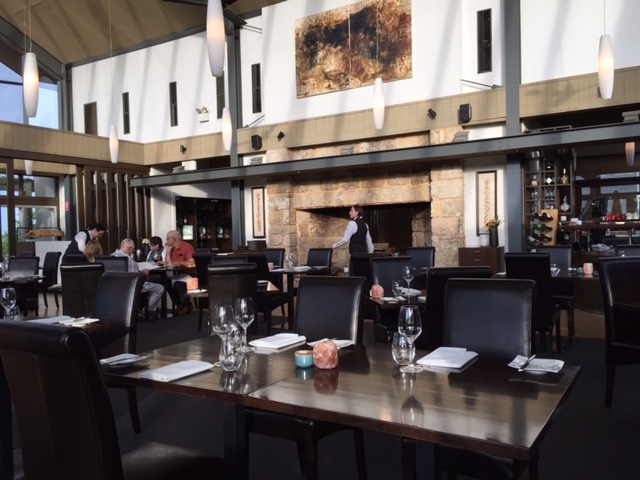 But, when it comes to the region’s food, I seem to always be tempted by lazy long lunches at just a handful of my favourite places, like Muse Kitchen (a stunning spot alongside the Keith Tulloch winery). 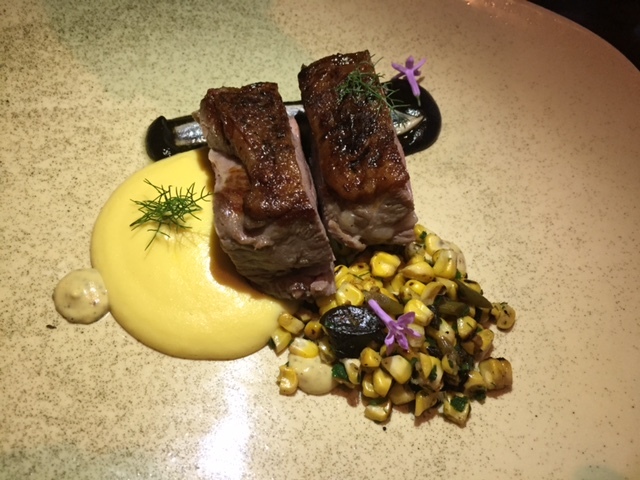 So on my most recent trip I decided it had to be a dinner somewhere new – and I booked Muse Restaurant – the older sibling to Muse Kitchen. Muse Restaurant was opened in 2009 by husband and wife team Troy and Megan Rhoades Brown. Only 12 months later they were awarded their first Chef’s Hat. Over 5 years on they now proudly boast a second Chef’s Hat. The Muse dining room is grand with a huge fireplace, high ceilings and large glass windows. Despite this it still retains an intimacy that makes it the perfect spot for a celebratory dinner for two. With so many awards under their belt you won’t be surprised to read that the Muse food philosophy focuses on the highest quality produce, that’s locally sourced where possible. Troy firmly believes that this is the best way to ensure that his producers and suppliers have the same attention to detail and love for their work as his chefs do in the kitchen. And when they say they focus on local producers they really mean it – even the milk, cream and butter comes from a local dairy farmer. The commitment to supporting and showcasing local produce isn’t limited to the food – on the extensive wine list you can take your pick from world-class Hunter Valley wines, including those from Hungerford Hill, the family owned winery and cellar door within which Muse is located. 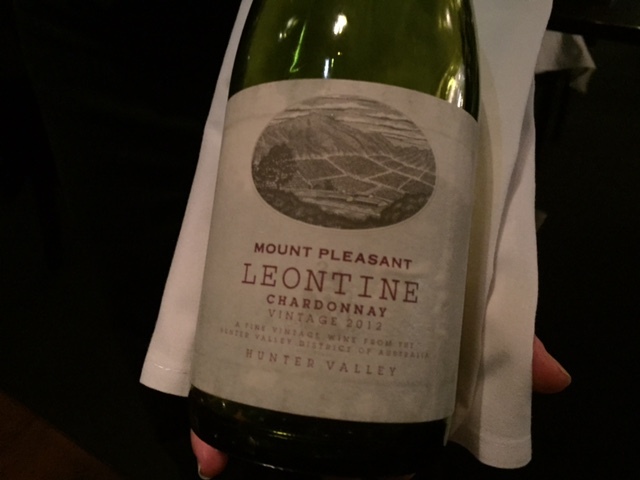 We enjoyed a bottle wine from one of my favourite Hunter Valley wineries, Mount Pleasant. I am a huge fan of their Elizabeth and Anne Semillons but on this occasion we gave their creamy 2012 chardonnay a go. Muse Restaurant offers a choice of two courses for $75 or three course for $95 per person. 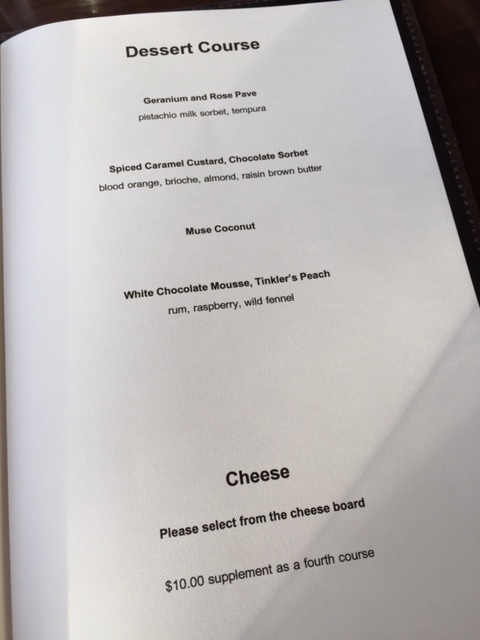 A minimum of two courses is required and you can have cheese as a fourth course. There are also more extravagant, and equally tempting, tasting ($110) and degustation ($160) menus that can be served with matched wines. 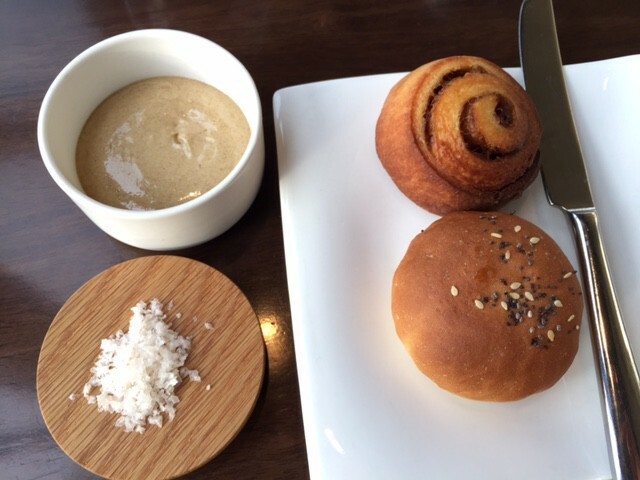 Whichever menu route you decide to go down consider yourself lucky that your Muse feast will start with what I would consider the Ferrari of house made breads. You really will struggle to say ‘no’when presented with this spectacular bread at your table. Two types were offered and I had to try both. 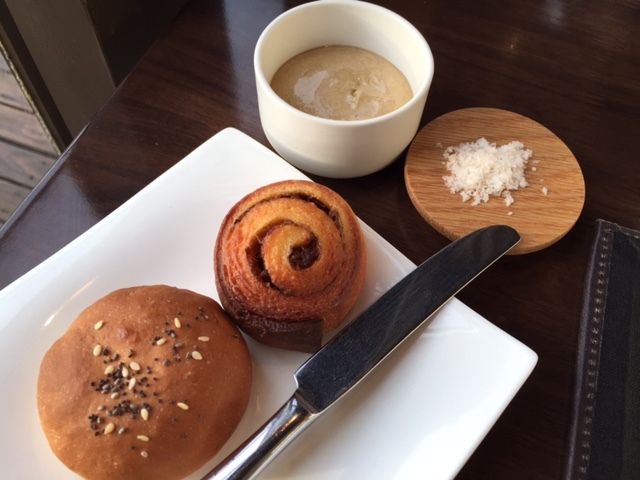 The bread comes served with house made black garlic and olive oil butter – it’s the kind of butter you will have no hesitation spreading liberally, knowing you’re unlikely to find anything as good anytime soon. The bread really does set the benchmark for everything that follows. After the bread we came an inventive amuse bouche plate – the presentation was like something that comes out of Heston Blummenthal’s kitchen. The three different kinds of crispy crackers almost didn’t last long enough for me to grab photos. Moving onto the first course we tried the beetroot and duck dishes. 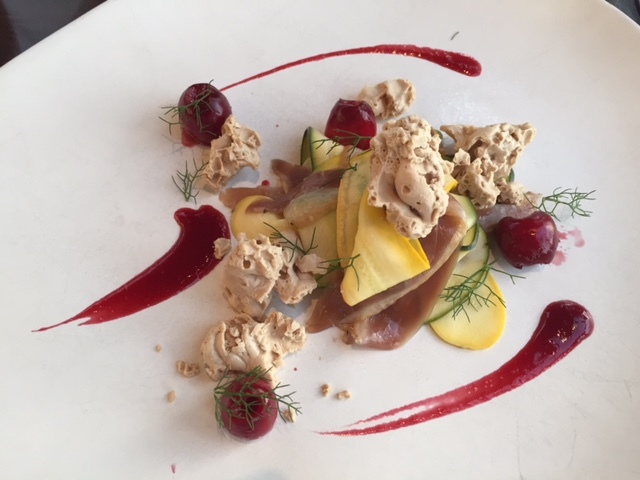 Before it arrived I was expecting a few cubes of beetroot arranged in an arty fashion on a huge plate. So I was pleasantly surprised to see a generous serving of perfectly cooked beetroot topped with an equally generous amount of cheese. In a nod to their focus on local produce the goats cheese comes from just down the road at Binnorie Dairy – and even the milk used to make this cheese is locally sourced. The roasted crunchy hazelnuts made this dish extra special. The duck was my husband’s choice and the fact that I only got to try one spoonful shows how much he liked it. 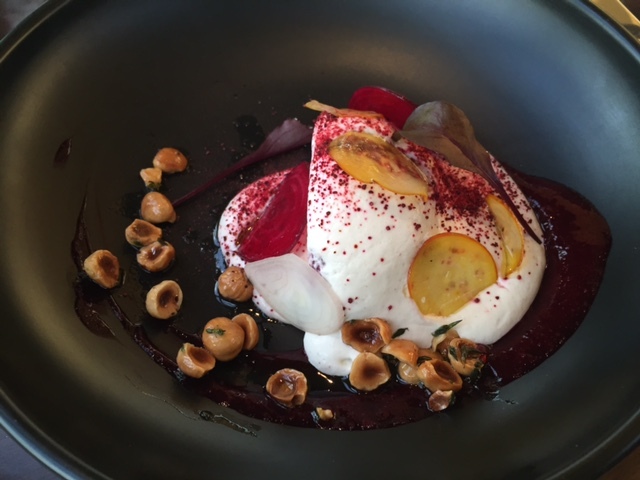 And being Summer of course the dish featured a seasonal twist – juicy Australian cherries. 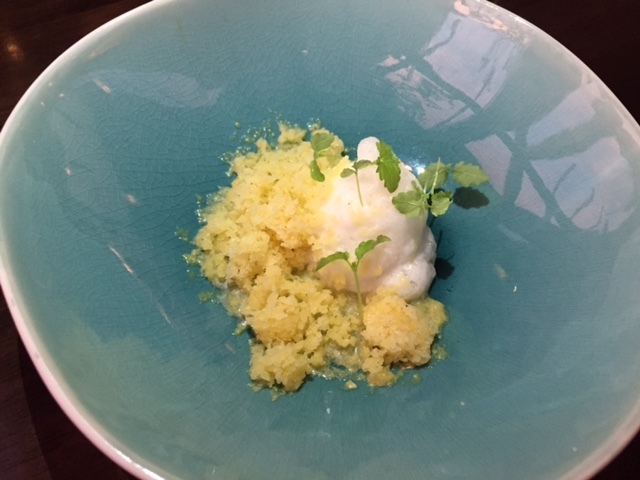 Between first course and main course came a fresh granita. 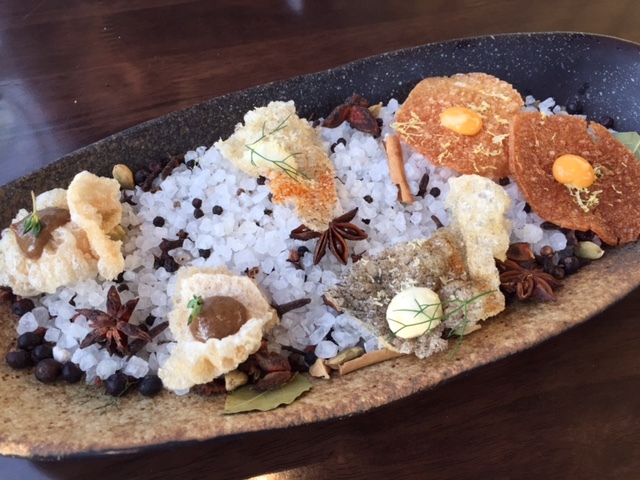 As with every other dish that was presented to our table it was lovingly explained by the wait staff – who seemed to be able to answer any and all of the questions we had. Based on several lunches at Muse Kitchen and this dinner I’d say that Troy and Megan have an enviable success at securing and maintaining some of the most passionate staff the Australian hospitality industry has to offer. Every team member came across as genuinely wanting to ensure that each and every guest has a memorable Hunter Valley dining experience. 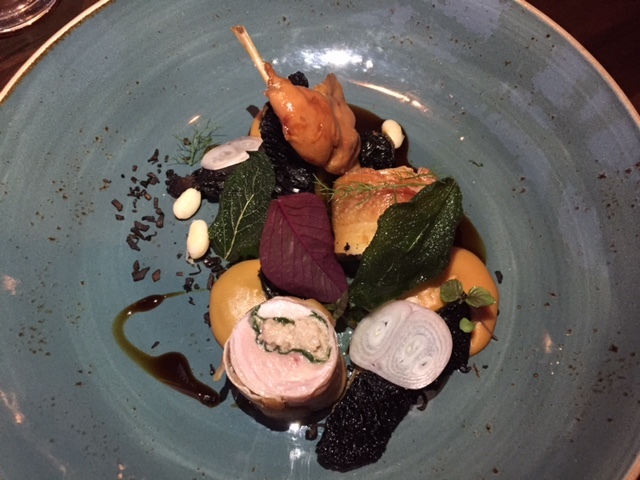 When it came to choosing from the five main course dishes I decided to go for the partridge – mainly because it’s one bird I haven’t tried before (and I knew the Muse team would showcase it well). My lamb-loving husband, not surprisingly, was drawn to the lamb. What I love about this dish, like many others on the Muse menu, is that you know where the meat comes from. In the case of Milly Hill lamb it’s a family owned business in Armidale NSW that specialises in premium quality free range lamb. After a generous serving of bread and unexpected surprise extras between courses we decided to save dessert for our next visit. But here’s a sample of the dessert menu. The Muse team maintain a local community vegetable garden – the resulting heirloom produce, herbs and more make it onto the menu. And the breads, pasta, gnocchi, ice creams, pastries and butchery are all prepared in-house by Muse chefs. Having visited now for dinner none of this surprises me; because I walked away not only with a full stomach but with the feeling that their focus on quality local produce focus is complemented by a no shortcuts approach to anything and everything. 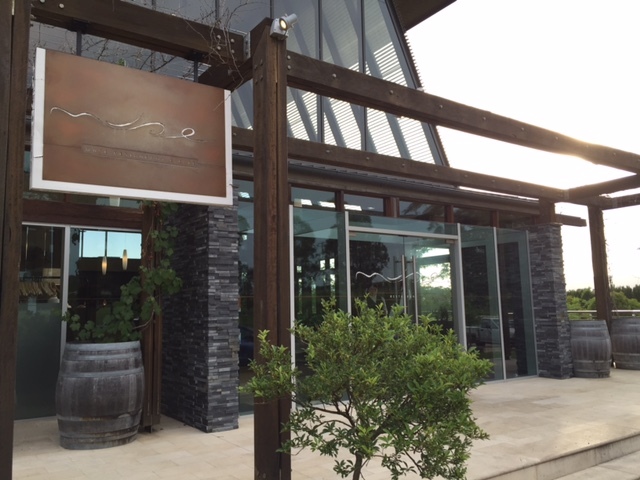 Tags: cafe, Dining, Hungerford Hill, Hunter Valley, Kitchen, menu, Muse, restaurant, review. Bookmark the permalink.